Paintless Dent Repair – Receive a free quote! Paintless dent repair (PDR) can remove minor dents and shallow dents from your vehicle body, without the need to repaint your car or truck. Of course, the paint surface or finish must be intact to be successful. Cracked or chip paint on damaged areas eliminates the ability to use Paintless Dent Repair and you may need to inquire about our traditional scratch and dent repair services. Paintless dent repair is often a less expensive, less laborious alternative to traditional auto body and collision repairs. 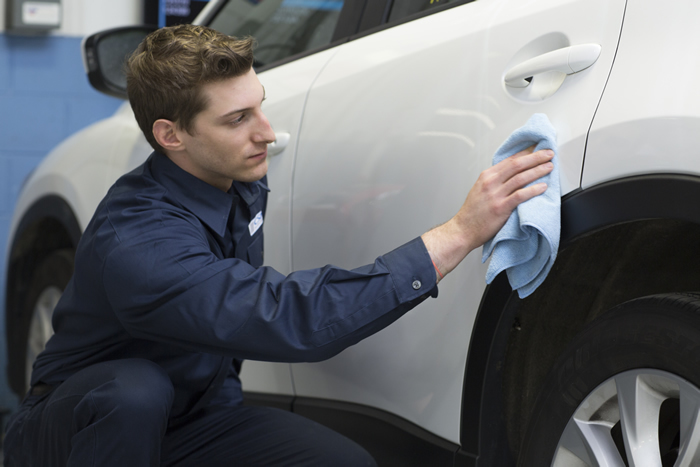 This industry-recognized auto repair process can also be used to increase the value of your vehicle for resale. Want to see if your vehicle qualifies for Paintless Dent Repair and get a free quote? Call us today at (506) 622-2818.